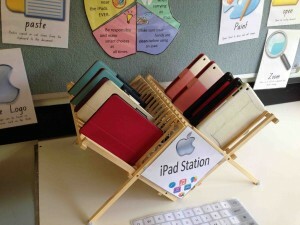 This is my iPad station in my classroom this year. 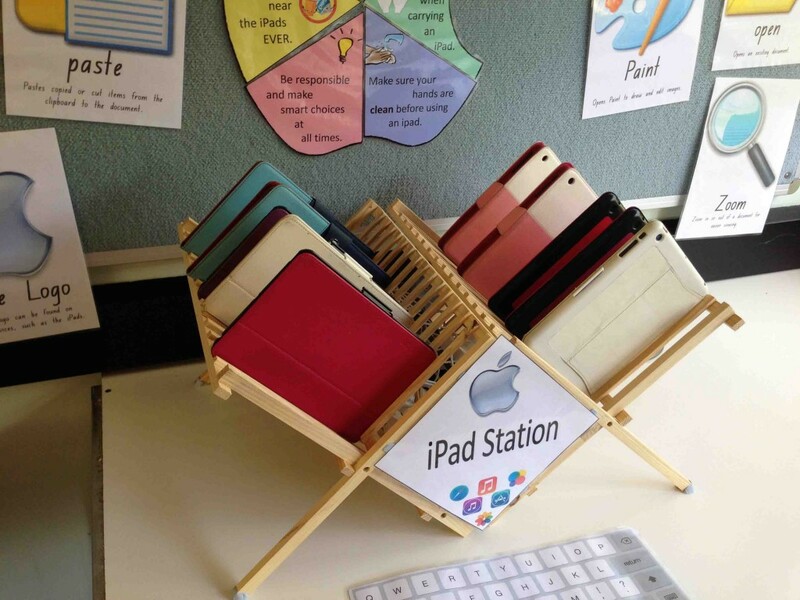 The iPad station is made up of two wooden dishracks I purchased from eBay for $AU18.00, as well as a ten point power board that I also purchased from eBay for $AU30.00. The two dishracks are blu-takked to the table to stop them from sliding apart. 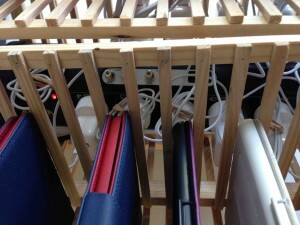 A closeup of the power board between the dishracks. 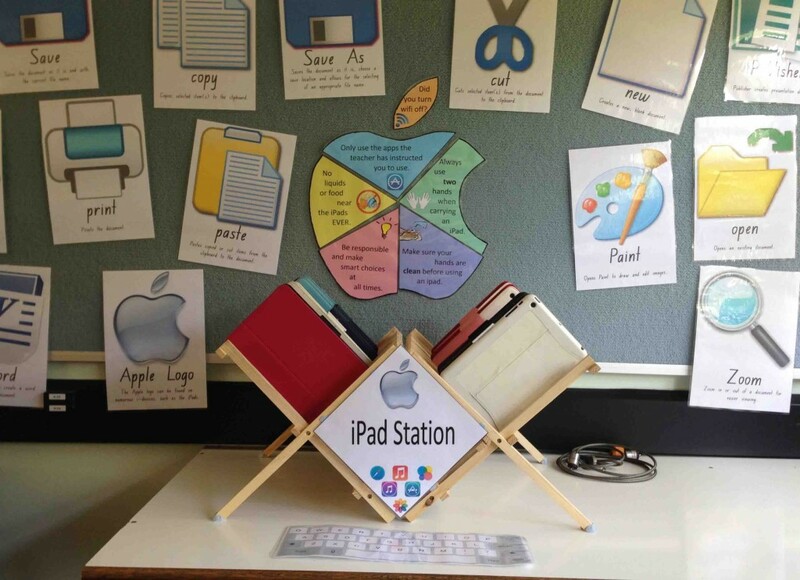 I put the iPad Station sign on the front to hide the power board from a frontal view. You can still see it from above, but it’s less noticable. The iPad safety rules are stuck to the board with velcro, so I can move them around whenever needed.